Congratulations to Sixth Form student, Emily Berry, who has achieved great success in her recent LAMDA exam. Emily has been taking speech lessons since the age of 5 when she was a member of speech club with Mrs Rogers at Billinge House. Since then, she has passed every grade in the LAMDA Verse & Prose with distinction and has won numerous trophies at Speech Festivals along the way. 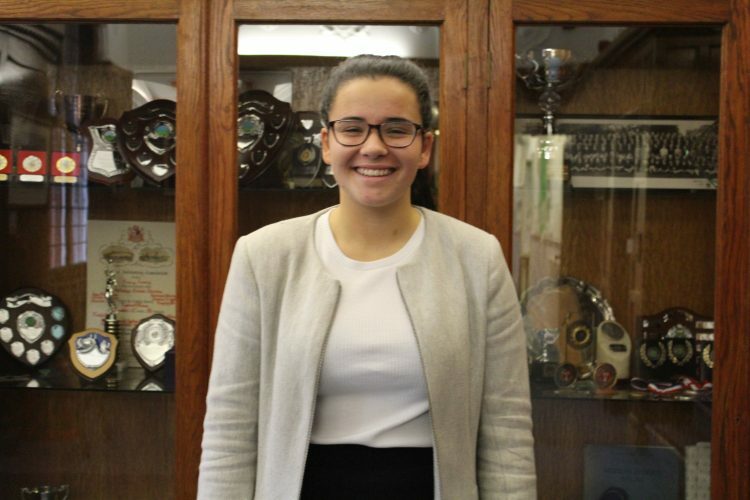 Just before Christmas, Emily was entered for her Grade 8 which involved reciting from memory three lengthy pieces of verse and prose including one of Shakespeare’s Sonnets, which was an extremely big commitment. Emily received her results last week and not only did she achieve a distinction but an excellent mark of 93%. She is now working on her Grade 8 Acting, which she is planning on taking in June. well done, Emily!